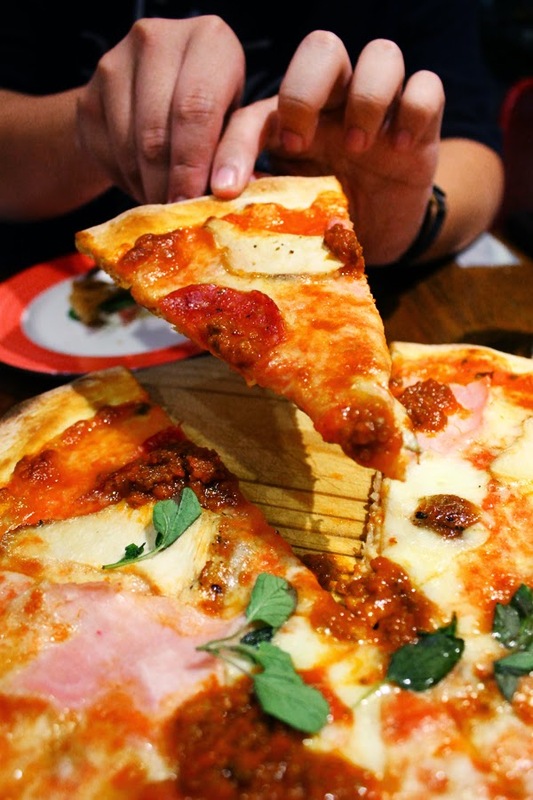 Nestled at a lovely corner at The Star Vista, Ricciotti Pizza Pasta Grill is a casual, home-style Italian restaurant that serves more-than-decent Italian cuisine (duh). On top of their branches at China Square and Riverwalk, the outlet at Buona Vista features a contemporary setting with sleek wooden furniture and an Italian-inspired wall mural. There is also a nice alfresco dining place - a relaxing ambience for chilling out at night. At Ricciotti, their pizzas are awesome. The crust has a nice thickness and crisp, while they don't scrimp on ingredients. 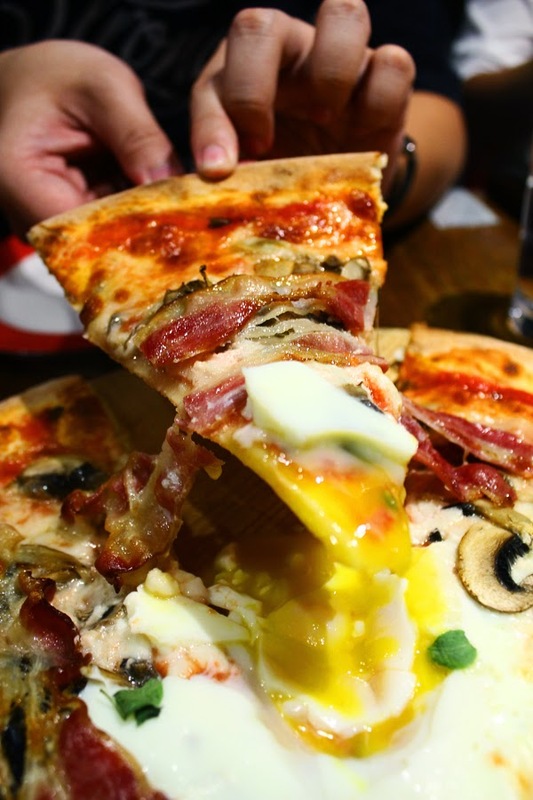 For starters, have a go at their signature and arguably most popular pizza, Pizzotto (above, 12" for S$23.50) - a classic combination of bacon strips, mushrooms, pomodoro, mozzarella, and topped with a runny egg. Breaking the egg yolk and spreading to the pizza slices is a pretty obvious thing to do, ain't it? 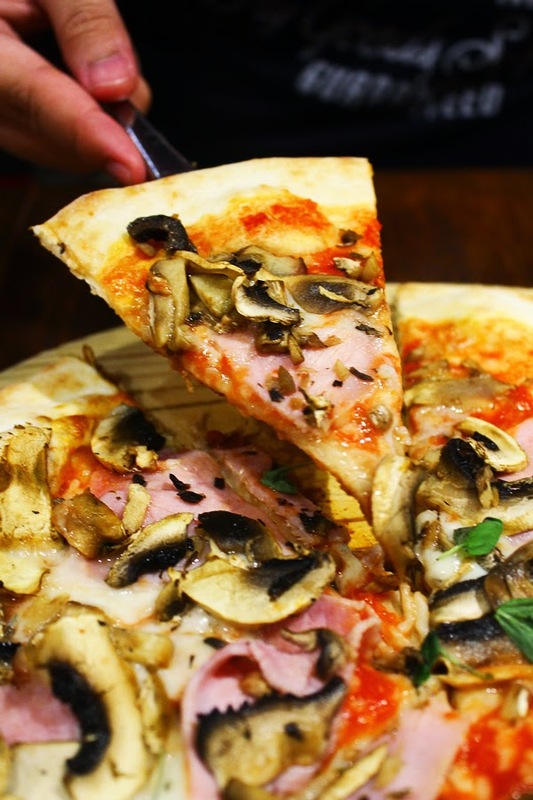 Prosciutto cotto e Funghi (above, 12" for S$21.50) includes ham, mushrooms, pomodoro, and mozzarella, while meat-lovers can opt to go for their Carnivora (below, 12" for $25.50) - a good mix of honey baked ham, chicken, spicy salami, minced beef, pomodoro, and mozzarella. Honestly speaking, all were pretty good, but none came close to the Pizzotto. 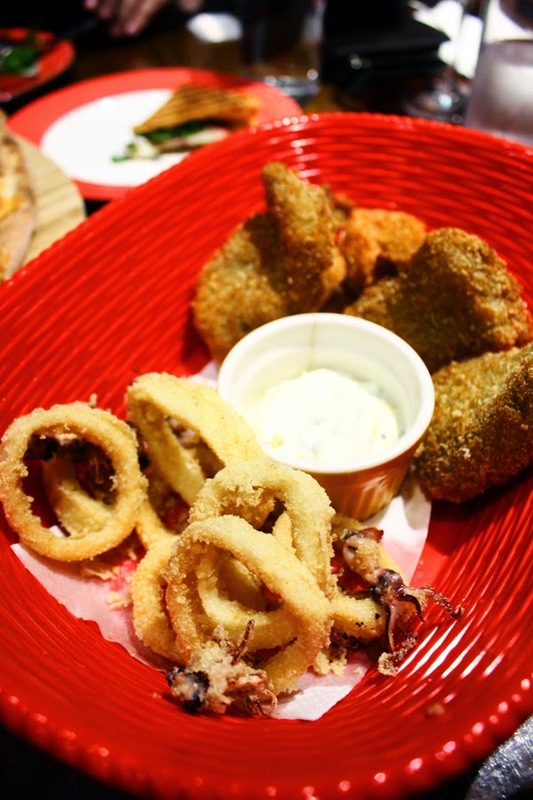 Fritto Misto (S - S$15.50), a seafood platter that includes a combination of deep fried calamari, prawns, dory fish, and served with tartare sauce. It's nothing special, but serves as a good dish to share without having ordering many. I gotta stress that this is about 50% of the quantity served, because, well, we are hungry. 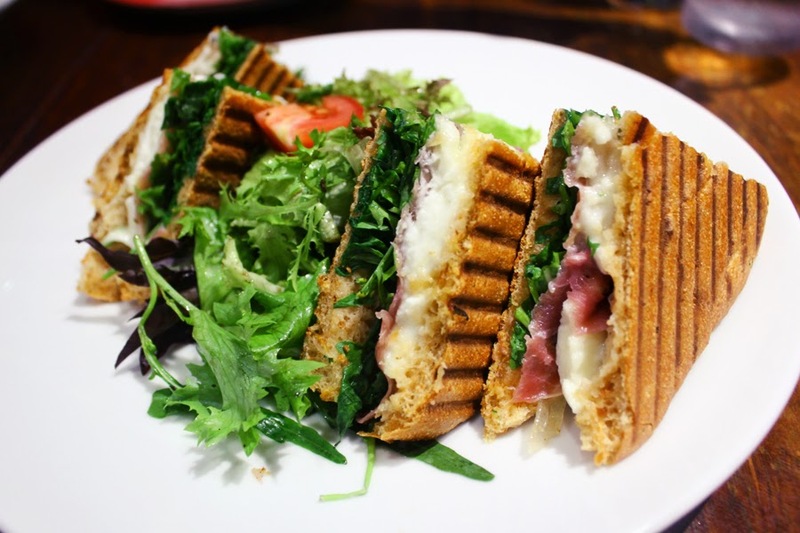 Parma Panini (S$13.80) was beautifully crafted, with parma ham, mozzarella cheese and rucola, stacked between two crispy toast. We were pretty impressed how the different flavours and textures match together to form this unpretentious masterpiece. Besides pizzas and breads, Ricciotti does serve a wide range of mains, such as salmon and steak, and desserts as well. To be honest, Ricciotti wasn't what we planned for, as other places were fully booked on the 3rd day of Lunar New Year. 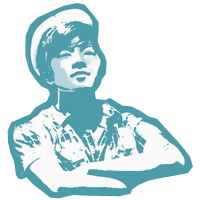 Nevertheless, I did not regret choosing Ricciotti, and I am pretty sure my family were left satisfied. All in all, Ricciotti is definitely worth the visit for an authentic, yet affordable Italian meal.